Studies of public views on stem cell research have traditionally focused on human embryonic stem cells. With more recent scientific research on developing other stem cell sources, a series of focus group studies was undertaken with Canadian adults to examine their views on different stem cell sources (adult, umbilical cord blood, human embryonic stem cells, somatic cell nuclear transfer or SCNT, and interspecies nuclear transfer, or iSCNT). Views on three different policy models—a permissive, middle-of-the-road and restrictive policy approach—were also explored. Participants were recruited from several different social groups including patients, young adults, seniors, members of two ethnic communities, and a mixed group of adults. Participants were generally supportive of the use of adult stem cell sources. While there was also majority support for the use of hESC and SCNT, this was conditional on strict regulatory oversight. There was also majority support for a permissive policy which allows research on hESC and SCNT. General themes that cut across different groups included the potential cost of new technologies to the health care system, issues around who would gain access to these technologies, and trust in the scientific establishment and regulatory systems. 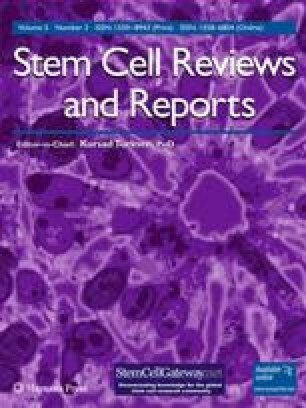 A diversity of viewpoints was found as participants justified their positions on stem cell sources and policy approaches, showing more complexity and nuance than has been generally portrayed. The authors acknowledge support for this study from the project “Towards the clinic: ethical, legal, and social issues relevant to emerging stem cell therapies” funded by the Stem Cell Network of Canada.